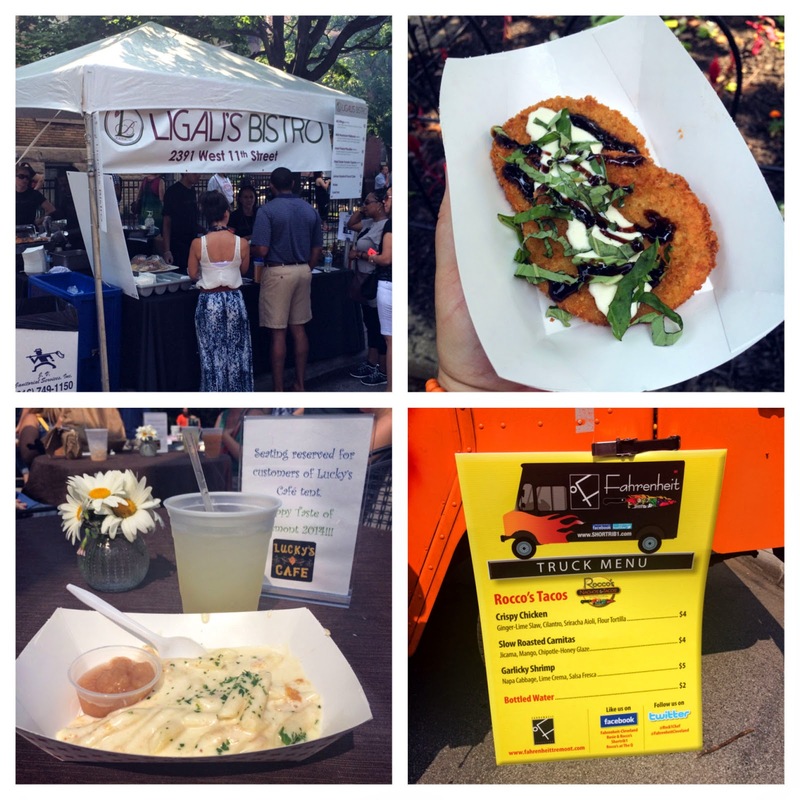 Sunday was one of my favorite annual summer events, the Taste of Tremont. Tremont is known for having one of the best culinary destinations in our city, and the restaurants all set up along Professor Avenue for one big tasting event. Other vendors and local organizations are mixed in, and 30,000+ people descend upon the neighborhood. I saw a lot of "hate" on social media this year for this festival, complaining of the crowds, parking, traffic, food quality...you name it. Many of these folks were tweeting or Facebook posting this from their homes. Good, if you don't like it, just don't go. For those of us that enjoy the festival, we came out. You just have to be prepared for the traffic and parking issues, long lines at the good food tents, and hoards of people jammed onto one street. After trying to get into the neighborhood the "back way" through the Steelyard, we had no luck and swung back around to try West 14th. Ha, even worse. We are fortunate to live not too far away, so we u-turned it home and grabbed our bicycles. Thanks to a Twitter tip, we easily found parking at the Gateway Animal Clinic and then hopped on our bikes to cross over from Ohio City into Tremont. Many others were walking or biking over that way too. Keep that in mind next year! Be prepared for the crushing crowds and long lines. Our beloved Fresh Fork was there, selling a pig roast platter and grilled sweet corn. The smells were intoxicating, and the line was probably the longest that I saw that day. Now, I normally hate crowds. For this annual event, I tough it out. I wised up this year and took the edge off at home with a tasty Bloody Mary, using Clark Pope's Bloody Mary mix that we picked up from Fresh Fork. The reason I love this festival is that it provides me with the opportunity to try smaller bites from some of my favorite Tremont restaurants, and to try food from places that we may not have been to yet. "R" and I prefer to split things, so that we can try more. We stopped at Ligali's tent (a new addition to Tremont) and had their Fried Green Tomato Caprese (pictured above top right) and Mushroom Flatbread. The flatbread was good, but the Caprese was our favorite there. I believe that it is on their regular menu. Looks like we need to stop in! We also shared a Chicken Taco from the Fahrenheit food truck, and Lucky's Cafe macaroni and cheese (an all-time favorite, pictured bottom left). That mac 'n cheese is seriously one of the best that I've ever had. We ended our day at the "secret garden" behind Tremont Scoops with friends. It was a welcomed oasis from the noise of the festival. Overall, I call it another successful Taste of Tremont. The event has really grown, and I think it's time to consider expanding beyond just Professor Avenue. What do you think of Taste of Tremont? Did you attend this year, or steer clear of the mayhem? Getting there early is key! I was riding my bike and saw people heading that way from Ohio City. After seeing your pics I have to say I regret missing it. You describe it well, but those pictures really capture the atmosphere! Thanks for sharing!